Excerpts from an Interview with JAC Patrissi, founder of Growing A New Heart, Inc., and reprinted with permission of JAC Patrissi. 1) What’s the difference between a healthy-yet-difficult relationship and one that is really not working? Here, after the first heady days of Romantic Love—when you don’t need to sleep, eat and can practically fly, you will start to wrestle with working out how you manage your conflict. You’ll need to express disappointment and disagreement; you’ll start struggling to understand one another’s values and ethics. The impact of gender roles and expectations comes into play. All the negotiations about how to share money, time and resources will be on the table. For couples facing oppression, the dynamic intensities. You long to reconnect with your life direction and what brings you back home. This whole period is characterized by a sense of vulnerability. It is difficult. Yet though healthy relationships may get very difficult, you will know that they are working because each time you navigate this stage (and it does repeat!) you are growing closer and developing ways of being together that work for both of you. Even ending a healthy relationship can be done in ways that make you deeply appreciate one another. The relationship based on Abusive Values—goes through conflict stages, too. When you hit the Conflict Stage here you will notice, either right away or soon enough—that you are not a team struggling for mutual well-being. Conflict becomes about who can win, and who can hurt the other more effectively. One or both of you becomes explosive. Your partner is really thinking almost exclusively about what is good for him (or her), not about what’s good for you or the relationship. Nothing ever seems to be your partner’s fault, and your partner has an excuse for everything; or, she or he apologizes often for hurtful or irresponsible behavior, but then continues with the same behavior. Your partner is saying and doing things that are just cruel or you are being blamed for things that are not at all your responsibility. You discover your partner is being secretive or dishonest, including about important issues such as money, his or her sexual or romantic relationships with others, or his or her use of substances. You are worrying often about your partner’s self-destructive tendencies, because he or she is drinking or using substances or is suicidal or abusing his or her health in other ways. Your partner is making relationships with others more difficult by interfering with your contact with others, or saying bad things about you to them. Your partner has no room for your own complaints or grievances, or even becomes distant or punishing if you bring them up. You start to avoid bringing things of concern to his attention because of your concern about how he or she will react if you do. You feel fear that your partner will hurt you physically or humiliate you sexually if you do or say things he or she doesn’t like. You are spending a lot of your time trying to figure out what is going on with your partner and how you can do something different to make it better. You are winding up feeling lonely, hungry for love and affection. You end up working hard to keep the little attention your partner does give you. Your focus has shifted towards what is going to make your partner seem content enough to reward you with some affection and attention. 2) How can one recognize the signs that one’s partner has a serious, deal-breaker problem? What kinds of problem, in your opinion, are deal-breakers? 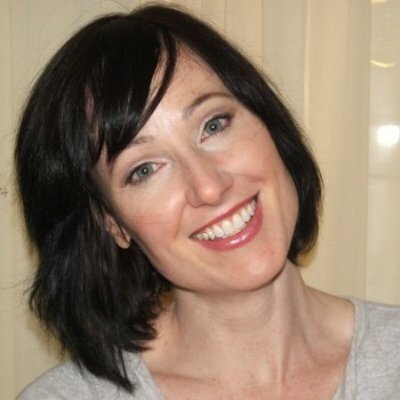 JAC: I think some of the most troubling problems women face with their partners are: immaturity, addiction, unresolved or untreated mental health issues (including the after-effects of trauma, depression and personality disorders); and abusiveness. The abusiveness is based on a set of hard to change values. Each one of these has its own warning signs. Your partner was loving and positive at first, but has turned increasingly troublesome and unhealthy. Your partner is doing more and more things that hurt you, frustrate you and leave you unsatisfied. It is starting to look very different than what you signed up for. The partner is insisting that nothing is wrong. The partner is insisting that you should not be bothered by worrisome behaviors. In fact, your partner may say that if you don’t like what he or she is doing, that this is a sign that something is wrong with you. The relationship is starting to take a toll on you. Yes, you love your partner and you want to see changes, but you also notice that you are getting hurt more and more over time. You are starting to think and talk about whether you can really make it together. You have the dreadful feeling that this may be way more than you can or should handle. You are driven to find resources and help for how to think about it and what to do to make it better if possible. Immaturity, addiction, unresolved or untreated mental health issues and abusiveness: each one of these is a big-ticket item, meaning it will cost you a great deal of emotional energy and likely time to be in relationship with your partner and one of these issues. I know you want just your partner, but sometimes the partner doesn’t come without the issue. And that’s the heart-breaker. But is it a deal breaker? That depends on a number of things, including where you are in your own life, where you are in your relationship, and what is safe and possible for you. For example, you may have always known, since childhood, that if a partner was abusive to you—especially if he laid a hand on you in anger– that this was your deal-breaker. Yet if it happens, you will find yourself faced with many more ethical and practical questions that play into your decision-making than you had anticipated. Also, given your life history, you may decide that no matter how much you love your partner, you don’t want to put so much energy into dealing with anything so consuming. You had my hands tied down for too damn long. You covered my mouth to the point that I was unable to speak. I have finally freed myself of your chain. No more will you control me. No more will you have that power! I have become my own light in this darkness that you have kept me in. I have fought for my freedom and you will not take it. I WILL NOT ALLOW YOU TO!! NO MORE!! 3) How do you advise someone to stop waiting to see what happens and make your own growth a top priority? create a Self-Nurturing Plan that includes skills for regulating your emotions when you feel out of sorts and creating a Parenting-from-your-center plan if you have kids. This kind of self-nurturing is essential, but let’s be clear— it may be impossible to address these things while you are dealing with safety concerns. In order to stop spending all of your time waiting to figure out what is going to happen with your relationship, you will need to create your own “No-Matter-What-Happens” life goals for yourself. That is typical enough kind of life-planning people do. But when you are in a destructive relationship, you will notice that it is a whole new game. Once you identify a couple of these life goals, you will need to enter into a process of addressing all the barriers to turning your attention back to your own growth. For example, you may realize that you are exhausted from working with your partner’s issues. You may have poor financial health (a common consequence of destructive relationships). You may not be physically safe enough in the relationship to make your first moves towards investing in a routine that supports you. Other common barriers that arise are fear of pushing your partner away or a feeling of powerful and traumatic bonding to someone who has made you feel afraid yet also shown you affection. You may find yourself facing a great deal of grief and loss, loss of your own connection to your life’s dreams or grief at realizing that your partner is not going to support you and may actively work against your interests. This is why the first steps are investing in your own rediscovery of joy, a routine that supports you, your values and spiritual beliefs and the creation of a concrete plan that helps you use skills to regulate your own powerful emotions. I want to repeat and respect the fact that for many women, they can not address any of these things without finding safety first. 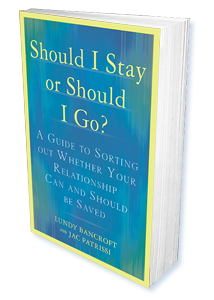 Excerpts reprinted with permission of JAC Patrissi, author (with Lundy Bancroft) of Should I Stay or Should I Go? A Guide to Knowing if Your Relationship Can — and Should — Be Saved, Berkley Books, 2011. For 25 years JAC has specialized in creative responses for survivors of destructive/abusive relationships.